On the move? Manage your money anytime, anywhere. 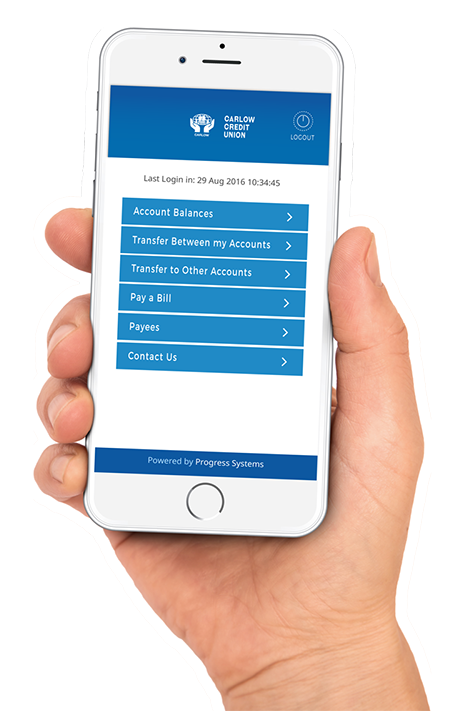 Carlow Credit Union has made it easier for you to manage your money ‘on the go’. All you need do is download our mobile app onto your smartphone or tablet device. It’s quick, it’s free, and it’s easy. Please note that in order to download the app, you must first be a member of Carlow Credit Union. You must also be registered for online banking.